The OSSC has been a game changer for retro game enthusiasts who want to take their vintage consoles onto big, modern displays, but it’s not without its limitations. By working on one scanline at a time, rather than a whole image buffer, the device minimises input lag but at the cost of some flexibility with regards to output resolutions in particular. Nevertheless, it is surprising just how much can be achieved with only a single line of image to work with. 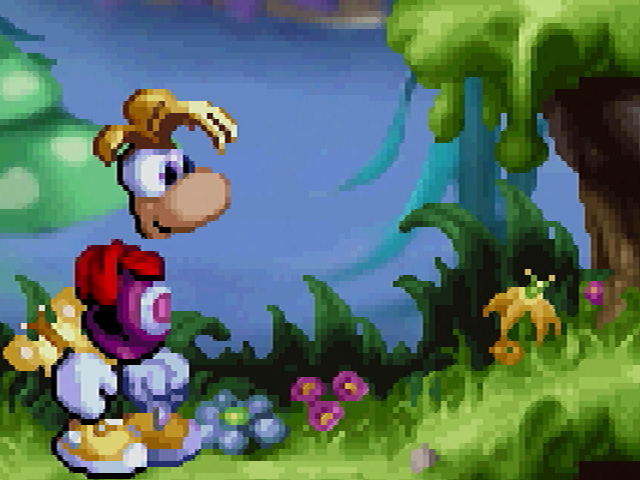 You might imagine fancy graphical effects like scaling filters would require an entire image buffer but in actual fact some can be implemented using just a single scanline. By modifying the open source firmware code, VGP forum user “Redguy” has managed to do just that and has implemented scaling filters for the OSSC, just like those that are available in emulators. In this article, we’ll take a look at these scaling filters and see what’s involved in using them on your own OSSC. To get started using scaling filters on your OSSC, you will need to grab the latest custom firmware. Currently, the latest version is 0.77 and is available for download here. As you might have guessed, you will need to flash this firmware to your OSSC. You can move back and forth between this custom firmware and the regular firmware as often as you like with no risk of harming your OSSC, but remember your profiles are erased each time you change the firmware on the device. As the latest firmware is 0.80 you do lose some functionality by flashing this custom firmware, but typically it’s only a few revisions behind the most current. The second thing you will need is the relevant optimal timings for your chosen console and/or game. The scaling filters will only work when used in the optimal scaling modes. Finding the optimal mode for a given console isn’t always straightforward. On some systems, such as the Neo Geo, the process is well documented. Other systems, such as the PlayStation, use a range of different resolutions for different games, meaning obtaining the correct settings can be a matter of trial and error. Once you have the required firmware installed and you’re in possession of the correct optimal timings for your chosen game or system, you can proceed to try the scaling filters. Start by powering on your OSSC and your connected system, then navigate to the “Output opt” menu. Set your line multiplication mode based on your preferences and display compatibility, then change the relevant output into optimal mode. Exit the “Output opt” menu then use the Advanced timing options under the “Sampling opt” menu to fine tune the image as per the instructions for optimal mode output. With these parameters all set, you can proceed to try the scaling filters. Navigate to the “Post-proc” menu and choose “Filter”. Here you can choose between ‘scale’ or ‘hq’ filters. There’s also a test filter called ‘diff’. This filter shows which edges the scaling filters apply changes to. It’s not really intented for use other than as a debugging tool, but it can be useful if you want to know instantly if the filters are working or not. For the Scale filter, you can also set the filter strength by using the ‘Filter str’ option, also on the post processing menu. Both of the available scaling filters work extremely well, with each filter noticeably smoothing the image and removing jagged edges. The image typically has a small amount of jitter or flashing pixels but these are difficult to notice at normal viewing distances or when the game is in motion. Filters like Scale2x and its derivatives are quite subjective. Some users really like them, while others aren’t so keen. The filters tend to give graphics a more “oil painting” kind of aesthetic which, while still attractive, may take away from the look usually associated with games of this vintage. You may find, for instance, you prefer the effect on early 3D games, such as Saturn or PlayStation titles, while the pixel look suits 2D games better, it’s all a matter of taste. We’ll have more images for you to compare shortly in a separate gallery page. Overall, if you enjoy these kinds of graphical filters, the scaling firmware is well worth a try. As long as you don’t mind the inconvenience of swapping to an alternative firmware (or you’re lucky enough to own 2 OSSC units) then this is one firmware definitely worth checking out. You can read more about the firmware on our forums here. What exactly is video game perfection goal? To be able to play retro games on new tv displays. To have the games look exactly as the programmers intended to be. Will there ever be a 4K OSSC in the making?